For the Mekong countries, including Thailand, Laos, Myanmar, Cambodia and Vietnam, 2018 was a big year both domestically and regionally. Key developments from last year will inevitably continue to shape the politics of the region in 2019. In terms of domestic affairs, the most worrying trend is the consolidation of autocratic power in almost all countries. In Vietnam, the sudden death of president Tran Dai Quang in September 2018 created a huge power vacuum, which was filled by Vietnamese Communist Party (CPV) chief Nguyen Phu Trong. By merging the two most powerful positions in Vietnamese politics, he has become the strongest Vietnamese leader since the death of Ho Chi Minh in 1969, edging the communist state towards the Chinese model of centralised rule. Cambodia, in theory a multi-party democracy, has practically become a one-party regime after a sham election that saw Prime Minister Hun Sen’s Cambodian People’s Party (CPP) win all parliamentary seats in July 2018. He is now one of the world’s longest-serving heads of government, having held the premiership for 33 years since 1985. Things are no better in Thailand. Four years after seizing power, the military junta has made — and broken — six promises to hold a general election to establish a civilian government. Even if the seventh promise is fulfilled next month, it will be difficult to see swift change as the junta will exploit all means available to dominate the electoral process. In Myanmar, the intensifying Rohingya crisis has not only created Southeast Asia’s biggest humanitarian concern, but also exposed the reluctance of Aung San Suu Kyi and her National League for Democracy (NLD) to complete the democratic transition that started in 2011. The autocratisation of the Mekong region has significant implications at a time when its giant neighbour China continues a long march to the south. China has committed billions of US dollars in concessional loans and credit to Mekong countries via the Lancang-Mekong Cooperation (LMC), an ambitious initiative which was launched in 2016. But the LMC’s actual impact remains to be seen. While the LMC is ostensibly aimed at creating a ‘shared future of peace and prosperity’, China can use it as part of a carrot and stick strategy due to its largely opaque and non-binding frameworks. It should be noted that Beijing has a record of working closely with autocracies. Beijing has helped leaders in Central Asia guard against ‘colour revolution’, provided African autocrats with an alternative model of development, and has aided socialist Venezuela in crisis. A less democratic Mekong region will be more exposed to China’s strategy of buying influence, which often involves closed-door negotiations and dealings. 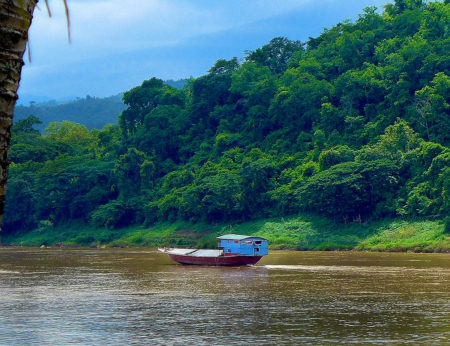 The LMC, as well as other established regional mechanisms such as the Mekong River Commission (MRC) and Lower Mekong Initiative (LMI), have also failed to address the core issue which theoretically binds Mekong countries together: transnational water management. In July 2018, a section of the Xe-Pian Xe-Namnoy hydropower dam in southern Laos collapsed, reportedly killing 34 people, leaving 97 missing and displacing 6,000 others. The collapsed part of the dam was only an auxiliary section and the whole project is built in one of the Mekong’s tributaries instead of the main stream. It could have been an even greater catastrophe. In Vietnam, for example, hydro dams are considered to be time bombs ticking over the head of the Mekong Delta on which 90 per cent of Vietnam’s rice exports depend. 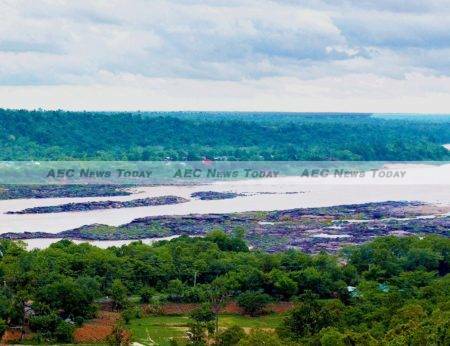 Despite the incident, the Laos government resumed its dream of becoming ‘a battery for Asia’ by permitting work to continue on several hydro projects. Beneficiary countries of the hydropower boom such as Thailand and China gave condolences and support to Laos, but continued building their own dams. 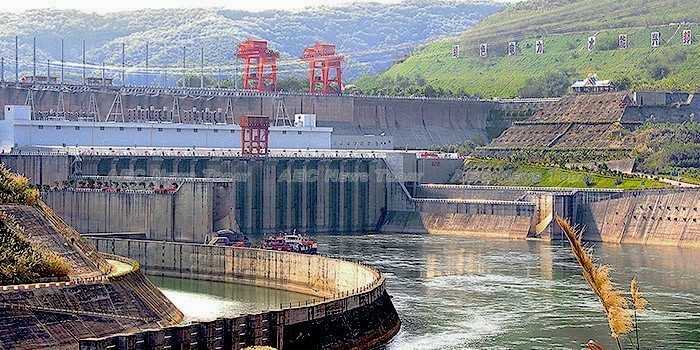 China, for instance, has built seven and has plans for a further 21 dams on the Mekong — plans formulated without consultation with lower-Mekong countries. The ongoing trade war between China and the United States also has the potential to impact the Mekong region both economically and politically. If the trade war accelerates, investors will consider countries such as Vietnam and Thailand, and to a lesser extent Cambodia, as shelters to circumvent higher tariffs and other technical barriers. Exports from the Mekong region to the United States, many of which are substitutes for Chinese goods, will also benefit from the trade dispute. On the other hand, the region also bears the risk of a flood of Chinese goods into domestic markets, which is already a big issue. More broadly, the Mekong region will continue to be a battlefield for influence between the two global superpowers. The rumour that China seeks to build a military base in Cambodia, although dismissed by Prime Minister Hun, should be a serious warning for Washington. Of the five Mekong countries, only Vietnam is wary of China’s charm offensive due to a lingering sovereignty dispute in the South China Sea. The superpowers’ tug-of-war will perhaps come to play a key role in shaping the region’s development trajectory. This article was written by Nguyen Khac Giang, lead political researcher at the Vietnam Institute for Economic and Policy Research (VEPR), Vietnam National University, Hanoi. It first appeared on East Asia Forum under a Creative Commons License and is reproduced here with its permission.